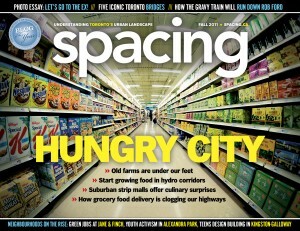 The summer 2018 edition of Spacing focuses on a handful of national city-building issues. Our contributors take a deep dive into a variety of topics including: the world of “art-washing” in Vancouver, where developers have co-opted the mural art community; how Toronto plans to develop an indigenous business centre downtown; why Winnipeg needs to experiment with innovative design of public spaces connected to the Forks; what is Vancouver Gregor Robertson going to do after his tenure ends this fall? And what your city looks like when in the throes of an opioid crisis. 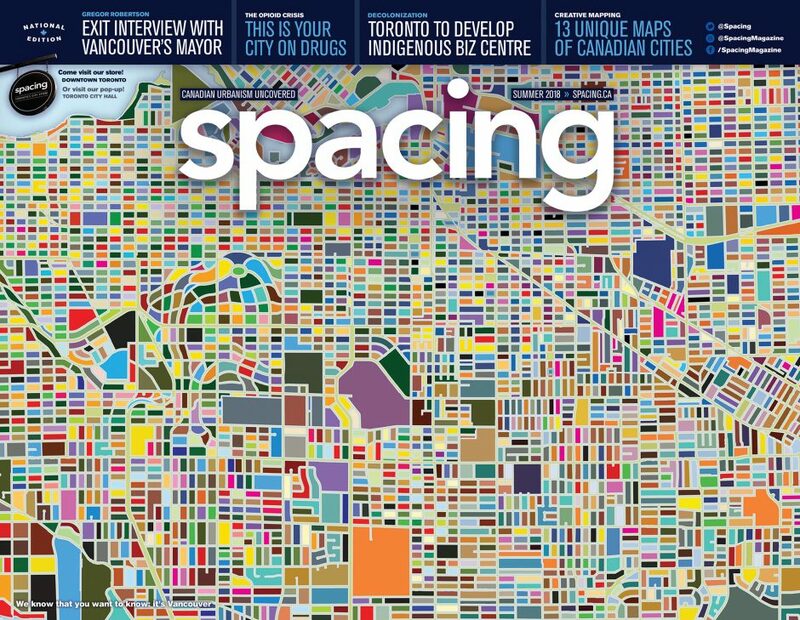 We also dedicated 10 pages to 13 unique creative maps of Canadian cities.